A specialized instrument to determine the GSM of the textiles (Woven, Non Woven or Knitted, Fabrics) Our Round Cutter can be used for virtually any type of material including Film, Foam, Carpet Paper and Board. The unit is recommended for Yield Testing i.e. determination of weight per unit area. The sample cutter cuts out rapidly and accurately circular specimens of 100 Sq. cm. which is exactly One Hundredth of a Square Meter, the result in grams, multiplied by 100, gives grams per square meter. FOR THIS APPLICATION FOR REPETETIVE TEST WITHOUT FAIL. The Cutter has been specially designed to make it portable due to its light weight. Only the fabric has to gripped between cutter base and Rubber pad cutter top to be rotated gently clockwise direction for accurate cutting of fabric. 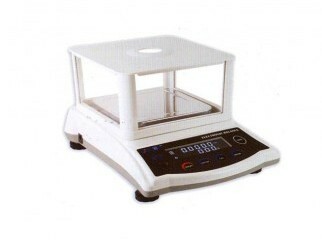 The cut fabric can be weighed and multiplied by 100 to get GSM. a) The Blades should be turned or changed when they become damaged or blunt. b) The Cutting Pad should also be changed, when it becomes worn out. Note:- For best results, only approved blades and pads should be used. 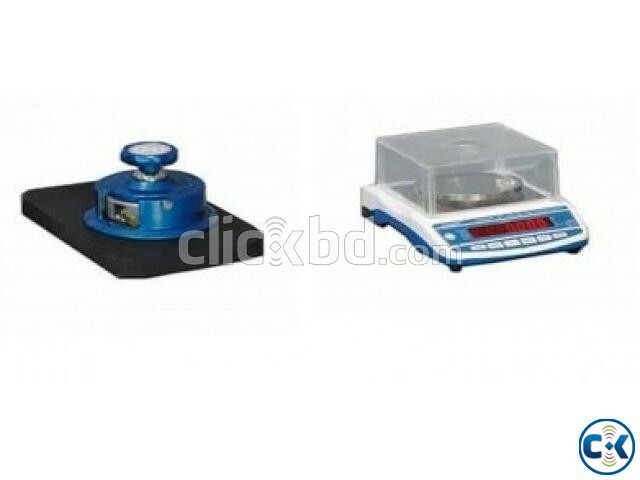 For determining the weight per area, a weighing scale having the minimum sensitivity of 0.01 gm is required.